James BELBIN may not have been the most distinguished of the ancestors, but he has been the most publicised. He is the only ancestor to enjoy an entry in the Australian Dictionary of Biography, (ADB), he is mentioned in numerous places in the Historical Records of Australia, (HRA), and is recalled in several books dealing with the early history of Tasmania. In the National Capital of Canberra, a street  bears his name to confirm his place among the pioneers of the country. BELBIN was born in London, 11 February 1771, and christened at St. Clement Danes, 30 March 1771. 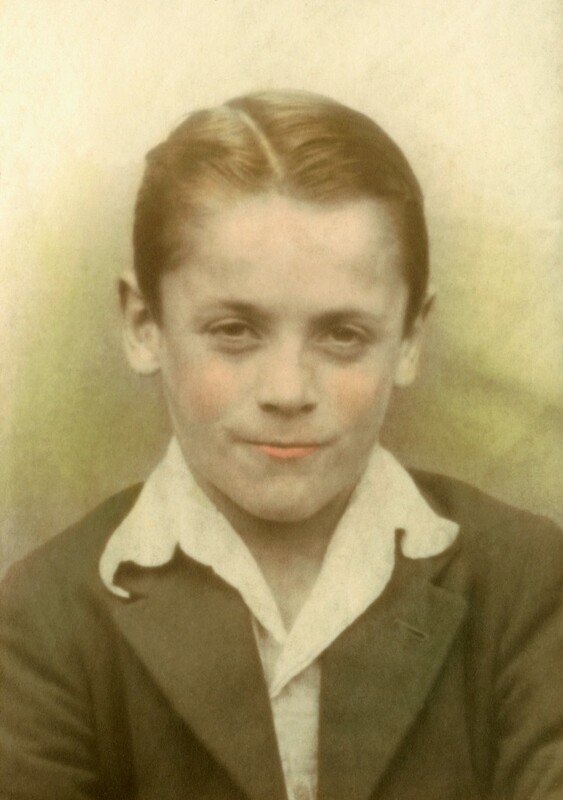 He was the second of the seven children of James and Susanna BELBIN, with an older brother John and five younger sisters, Charlotte, Susanna, Ann Harriet, Sarah and Maria. According to Calder , James' parents had come from German brewing families, however, in the 1990's people in Britain, Newfoundland and New Zealand, are successfully tracing BELBIN families back to the 16th century in Southern England. On 21 August 1791, at the age of 20, BELBIN arrived at Port Jackson as a convict aboard Salamander, a vessel of the Third Fleet. The convict indent  indicated that he was tried in London, 9 September 1789, and received a 7 year sentence, however the Old Bailey Session Papers  show his trial was 9 January 1788. At the age of 16, James was found guilty of house-breaking and stealing clothing from a boarding house alongside his home. The neighbours, who were the injured parties, took pains to say that young James was a likeable lad; the sentence of the court may therefore have shaken them, as it was Death, but with a recommendation for mercy. The trial proceedings were taken down in shorthand and then transcribed for printing, distribution, and sale as a daily paper. A printed record therefore remains to give some background to BELBIN, his occupation, and the area in which he lived. He apparently had received some schooling as he could read and write. Although out of work at the time of his crime, he had previously been in service. The transcript of the Old Bailey Trial as recorded by E. Hodgson, Professor of Shorthand, revealed that James lived in Vere Street, Clare Market, London. A Vere Street still exists in London today, as it did in 1788, running off Oxford Street near Bond Street. This was not BELBIN's Vere Street, as his was located in Clare Market near Lincoln's Inn Fields. The latter Vere Street was an extension of Wild Street which disappeared with the construction of Kingsway after the early 1820's. The Clare Market no longer exists, but was placed between the Strand and Portugal Street, Kingsway and the Law Courts. It was established in 1657, became a free market during Cromwell`s time and was one of the more important locations for food and other provisions. 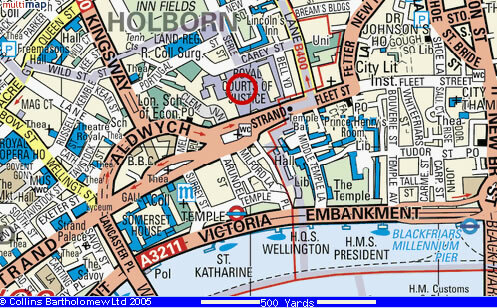 The pawnbroker who received BELBIN's stolen goods was located in Wild Street, Lincoln's Inn, off the Western side of today's Kingsway, only a longish stone-throw from the old Clare Markets. Fortunately James BELBIN, along with over 100 fellow prisoners who had been awarded a death sentence, was pardoned on 25 July 1789 at the Court of St. James, by His Majesty's Command, under the hand of W.W.Grenville. Pardoned on the condition of their being transported to the Eastern Coast of New South Wales or some one or other of the Islands adjacent, for the terms hereafter mentioned. The James BELBIN who was convicted of burglary in the January 1788 Session of the Old Bailey, was one of the 23 persons awarded 7 years transportation. A further 88 persons received transportation for life on the same "pardon". Another National Archives (NA) document  lists the names of people released from the various gaols to go aboard the ships of the Third Fleet. James BELBIN is shown as one of 42 men from Middlesex allotted a 7 year sentence of transportation on 9 September 1789. According to David Collins , after a short stay in Port Jackson to restow provisions, Salamander and all its convicts left for Norfolk Island on 4 September 1791. The Norfolk Island Victualling Book  confirms BELBIN's arrival on the Island during September 1791. He received no pardons and his Certificate of Freedom, No 15/1047,  showed that his sentence expired 9 September 1796, 7 years after a 9 September 1789 conviction at the Old Bailey London. 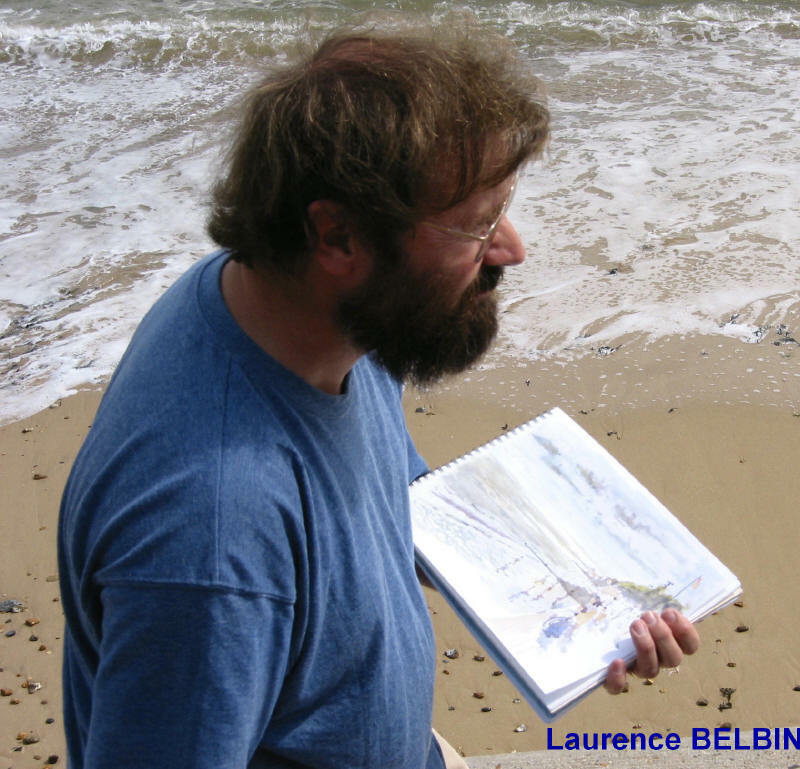 Little is known of BELBIN's early life on Norfolk Island. He seems to have maintained a low profile and there are no records of punishments or other incidents. Although he was victualled throughout 1791/92 , he was On the Stores for only 119 days in 1793, and was Off the Stores throughout 1794. Again in 1795 he was only On the Stores during January. Presumably his services were in demand by one of the free settlers. The ADB  considers BELBIN a supplier of pork to the Stores. This is confirmed by a note in Lieut. Governor King's papers in 1796, and by numerous stores receipts through the years to 1806. Unfortunately the ADB entry contains a number of incorrect statements, and is wrong when it says James transferred to Norfolk Island to become a settler after he had completed his sentence at Port Jackson. BELBIN remained at Norfolk from 1791 until 1808 when he was transferred to the Derwent . His pork production was not particularly significant when compared with that of his fellows. One of the most prodigious suppliers was Robert Nash who produced wheat, maize, and pork in large quantities. In one set of returns to 1807 , BELBIN's name appeared only once, in May 1806, when he supplied 679 lbs. of swine flesh. This was small when compared with the deliveries others on the same return. In another return , for the period 1 January to 16 September 1801, there were many contributors with 141 receipts yielding a total of 129,793 lbs. (average 920 lbs) of pork. BELBIN managed only one delivery of 861 lbs on 26 February (receipt No. 23). During this period of 1801, Robert Nash and other settlers also produced maize and wheat for the Store, but BELBIN was not in this field. Whereas many of the convict settlers owned land by grant or by purchase, BELBIN was never granted a block on Norfolk and apparently did not buy land. Although he occupied from 15 - 30 acres at various times, the records show he was either renting or leasing, as was the case with many of the part-time farmers on the Island. Possibly it comes as no surprise to find that for some time he was employed as a Constable on Norfolk Island. It is not clear when he first took this job on, although an 1832 letter  implies that it may have been during Captain John Townson's period as Commandant. Certainly he resigned from the position on the 5 March 1802 . Although a marriage certificate will never be produced as proof, BELBIN's wife for much of his life on Norfolk was an Ann Meredith, who died on the Island in childbirth at the age of 35, on 1 June 1805, . Ann was the only female Meredith convict listed in the indents for 1788-1800 in 4/4003 . She was convicted at the 2nd Session of the Worcester City Assizes, 2 February 1789, and received 7 years transportation. Although her ship of arrival is missing from the usual records, a Mitchell Library reference  shows that she was despatched on one of the three ships of the Second Fleet which left the UK in December 1789. The Berrow's Worcester Journal of 25 December 1788 advises that Ann Meredith was charged in company with a man, Roger Croft, and his wife Mary, of assaulting and ill-treating Joseph Williams, and stealing 6 guineas, 6 or 7 shillings and a silver watch. At the trial on 2 February 1789, Mary Croft was acquitted, but both Ann Meredith and Roger Croft were sentenced to 7 years transportation. The Berrow's Journal of 4 February 1798, reported that in Ann Meredith's case "...endeavours were made to obtain an extenuation of the sentence without effect." To date the only likely indicator noted of an earlier life for Ann Meredith, is a Mormon record of the christening of a daughter of Thomas and Mary Meredith at Kempsey, Worcester on 13 September 1769. Kempsey was then about 3 miles south of Worcester. A 1769 christening fits well for Ann Meredith of Norfolk Island, who also named her first child Mary. Ann Meredith arrived in the antipodes on Neptune as one of the 67 female convicts landed from that vessel. NA documents  show that the female convicts destined for Neptune were called up from the various Counties as early as 24 October 1789. On that date the County Sheriffs were advised that ".... Neptune will receive on Friday next female convicts now under sentence in the gaol at.....". Another letter in December from Wm Grenville  is quite surprising. The contractor for the transportation of convicts to New South Wales has informed me that the apartments designed for female convicts on board the Neptune is capable of containing between 30 & 40 more women than the number now on board, and the preparations have been made by him for the reception of such other females as may be ready to embark. .....(the male convicts are to be advised that)...wives of convicts may be taken aboard, and if the numbers are not taken up, women who have cohabited with them ....(convict wives and defacto wives to be victualled with food and clothing as for the convict women on board). One must assume that Ann Meredith was a survivor, had good stamina, or was extremely fortunate on the voyage out. 158 people died on the voyage, and 269 out of the remaining 353 who landed at Port Jackson were sick or were hospitalised. The Norfolk Island Victualling Book shows that Ann was considered fit enough for almost immediate transfer to Norfolk, as she arrived at the Island 7 August 1790 aboard Surprize. Lt. Ralph Clark's journal  reveals that Ann had her problems some 8 months after her arrival at Norfolk, when on 5 April 1791, with three other women, she received 25 lashes "... for refusing to do what ther (sic) overseer ordered them". Throughout an 18 month period of 1790-1791 on Norfolk Island, 98 individual convicts (75 men and 23 women) were awarded floggings out of a possible 260 male and 240 female convicts. At that time flogging was a traditional method of punishment in the Armed Services as well as the prisons. In the same 18 month period, 6 men from the Marines or the N.S.W. Corps were also flogged on Norfolk. The incidents attracting such punishment for private or convict, were almost universally being insubordinate to an officer or overseer, the stealing of food, or deserting one's labour or post. A military type discipline was enforced and those with aggressive natures, short tempers, or independent attitudes were more likely to suffer. The Victualling Book  shows that Ann remained on the Stores until the end of 1794, and gave birth to children Mary Meredith (born 5 February 1793 - received rations 1793-1794) and Elizabeth Meredith (born 21 March 1795 - Off the Stores). Apart from the stores return of 1802 and a listing in the 1805 Muster , Ann was hardly noted in other records. The Mutch Index, and Rev. Henry Fulton's birth, death and marriage records  list the death of Ann Meredith on 1 June 1805, but create a problem by noting that she was "Plyers wife". Ex-Marine private George Plyer arrived at Norfolk Island, 21 January 1792, following his discharge from the Establishment at Port Jackson in December 1790 , to become a free settler on the Island. He was one of 21 ex-marines who arrived on Queen with Rev Bain, intending to make Norfolk their future home. David Collins had little faith in the ability  of these ex-marines, to devote themselves to farming activities, and, as if to vindicate the Judge Advocates views, within a short time many of these would-be settlers had surrendered or sold their land grants and taken up other activities. The relationship between Plyer and Ann Meredith is confirmed by a return of Norfolk Island women  who were Off the Stores, 20 July 1794. This report showed that Ann Meredeth (sic) had one child at that time, was unmarried, but was supported off the Stores by a Thomas (sic) Plyer, settler. Plyer does not seem to have succeeded as a farmer. In the second half of 1804 he appears on the Stores as a Private with the NSW Corps, and was still a Private at Norfolk Island in 1806. In February 1808 he was on the Store but now under the heading of "Apprentices and Free Men", instead of his past listing under the Military. He disappears from the records in 1808 when he leaves for the Derwent aboard the City of Edinburgh  without wife or child. On Norfolk Island it was the Victualling Book naming practice to identify convict women by the their name on arrival in the Colony, regardless of whether they later acquired new names by marriage. Similarly the children were known by the mother's surname and not that of the father. 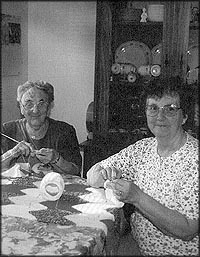 In other records, and within the community itself, there is some evidence that the wives were known by a married name. However, there was logic in the Victualling Book practice. Some women changed husbands, and presumably the children moved with the mother. Mary Brooks BELBIN July 31, 1807 Left at Norfolk Island with her mother. Ann Merredith (sic) BELBIN died in childbirth May 31, 1805, aged 35 years. Harriot BELBIN twin died June 19, 1805, aged 6 yrs, 9 mths 7 days. Both buried at Norfolk Island. There are some discrepancies in birth dates when compared with the Norfolk Island Victualling Book, and the age of Sarah (22 at marriage on 9 September 1816) as shown in the records of St. David's Church, Hobart. However, BELBIN's diary may provide the closest approach to an "official" document that can be found. Although the child, Mary Ann, may have been a member of BELBIN's family on Norfolk, he seems to have denied parentage by calling her Meredith rather than BELBIN. One might assume her father was George Plyer; the Mutch Cards at the Mitchell Library refer to a Mary Ann Plyer, who was born at Norfolk Island, in the NSW 1811 Muster. Again, Captain Piper reported that a "Sarah Plyer embarked aboard Lady Nelson at Norfolk Island for Port Jackson, with Priv. Thomas Ashbury, April 1810 - Private 102nd Regt.". One of course would have to assume that Capt Piper mistook Mary Ann for her sister Sarah. The Norfolk Island Victualling Book notes that Private Thomas Ashbury first went to Norfolk on the Atlantic, 4 November 1791, and received stores throughout 1892 until Kitty left for Port Jackson on 9 March 1793. Although not really significant, the 1828 Census of NSW names two Ashbury families. The youngsters at that time were called Mary and Thomas Ashbury. BELBIN is understood to have served as a constable at Phillipburgh until 5 March 1802. On that day Constable BELBIN was removed from the Stores and the Victualling Book where he had stood under Settlers from Sentences Expired. On the same day Ann Meredith and her 6 daughters, from the eldest, Mary Ann Meredith, down to young Susan Meredith, were also removed from the Stores . Several of the Merediths were reinstated on the Stores from June 1805 onwards, after the death of mother Ann Meredith. Elizabeth, Sarah, and Catherine were included in "Children Above 2 Years of Age" in the Victualling Book from 1 June to 31 December 1805. However, on 15 August 1806, Sarah and Catherine Meredith are shown as "Orphan Children", while Elizabeth is still listed under "Children Above 2 Years of Age". Sarah and Catherine are still "Orphan Children" in February 1808. Throughout all of this period James BELBIN, Susanna, and young James Meredith do not appear on the Stores. It is of course possible that Sarah and Catherine were orphaned on the death of their mother, and one assumes that orphans gained some small benefit not available to children with parents. It would not have been beyond James BELBIN to cheat the Stores in some fashion, however these "orphans " were among the five children who went to VDL with him, were known as BELBINs at the Derwent, and constituted his household. COURTESY WIKIPEDIA Several documents remain today, among Norfolk Island records from the First Settlement, which refer in passing to BELBIN or carry his signature. A copy of a handwritten "Address of Welcome", dated 4 October 1806, to Governor Bligh , rejoicing in his appointment as Governor of NSW and pointing out how pleasant and productive Norfolk is, carries BELBIN's signature among that of 80 prominent Island settlers. A document dated 17 June 1808 , "Vouchers for Cash Paid for Buildings Left Behind on Norfolk Island", shows that the government allowed the evacuees a total of £615 for their dwellings. James BELBIN shared in this payout to the extent of £12 for " a boarded and shingled building". BELBIN's signature appears similar to another in one of his surviving books on Russian history. In 1803 the first moves to close down Norfolk Island commenced when Lord Hobart advised  that the numbers were to be reduced, and that convicts and settlers were to be sent to Van Diemens Land. Lieut. Governor Foveaux produced a list  of 41 Norfolk Island settlers who, at 19 July 1804, had indicated that they would be prepared to relocate to VDL. The Governor at Port Jackson, P.G.King, was very reluctant to see the abandonment of the settlement he had pioneered; he continued to delay the evacuation, and to propose measures which would reduce rather than remove all the population. He was obviously disturbed to note that the two most productive settlers on Norfolk, Daniel Standfield and John Beresford, had indicated that they would move to VDL. King wrote to the two favoured men suggesting that it would not be in their best interests to "start the world anew " at the Derwent. About this time the Governor also allowed two free settlers to travel to Norfolk, with directions that they be permitted to select farms from those abandoned by settlers leaving the Island for the Derwent. When knowledge of these two matters became generally known, it was not surprising that the logic of a move to VDL was not so evident, and most of the settlers withdrew their names from Foveaux's list. Subsequently Foveaux stated "....that inclination which was before so manifest almost totally disappeared, and out of 41 who had previously given in their names to remove, only 10 remained willing to go, the others requested their names to be withdrawn completely".. Among the 41 people on the Foveaux list were 19 who the Lieut. Governor suggested should be given consideration and help in VDL, although he acknowledged that the remainder would also be good settlers. 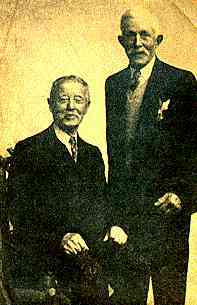 One of the 19 privileged persons was James BELBIN, who was shown at that time with a wife, six children, and 25 acres of leased land under crops. On 26 March 1805, after he had left the Island for England, Foveaux prepared another schedule of names  dividing all the settlers on the Island into First, Second, and Third Class, and also listing the numbers of their family, their land, and the stock held. On this schedule, BELBIN was considered a Settler of the Second Class, with only 20 acres under lease, with a wife, 7 children, and 21 head of swine. At that time BELBIN was not a large owner of swine as there were a number of people with 50-60 head, with 68 the largest holding. Yet another return of Norfolk Island Settlers on 2 August 1807 , two years after the death of Ann Meredith, shows that James BELBIN has 32 acres of land, 16 hogs, and a crop 120 bushels of maize. He again has a wife and the children have increased to 9, although daughter Harriot had died in June 1805. James had obviously acquired a new wife who brought several of her own children into the BELBIN home. BELBIN's diary tells us that Mary Brooks BELBIN was born 31 July 1807 , so there is no certainty that she was included as one of the 9 children. The new wife, a Brooks, may then have come with either 2 or 3 children excluding baby Mary. Although there were two Brooks women on the Island in 1807, both called Ann, one must favour Ann Brooks The Younger as BELBIN's wife, since she remained behind on Norfolk after 1808. The other Ann Brooks arrived on Surprize in 1790 , and was also known as Ann Lavender. She became the wife of James Morrisby and left with him for VDL in December 1807. A Jane Brooks also reached Norfolk in 1790 but left the Island in 1796..
Ann Brooks (the Younger) came to the Colony on Pitt  in 1792. The records show that her first child was born at Port Jackson in 1794  with John Cox as father. John Cox was a Private of the NSW Corps who was on Norfolk between 1802-1810, however five children had been born to Ann and John before the family appeared on the Victualling List in 1802. When John Cox and Ann Brooks left for Port Dalrymple on Lady Nelson in 1813, they took 7 children with them . Although the 1812 Muster  of Norfolk Island people lists a Margaret Brooks aged 4 but no Mary Brooks aged 5 years, a Mary, but not a Margaret, is mentioned in the 1811  returns. In an 1962 article on Settlement of the Norfolk Islanders at Norfolk Plains, , Isabella Mead recalls how she viewed a powder horn from the Cox home at Norfolk Plains, which had the birth dates of the Cox children inscribed on it. The names and dates can be compared with those gleaned from other Norfolk Island records. Thus it appears that William Brooks (twin) died as a child; a 1791 birth for John (jun) is unlikely since both father and mother did not arrive in Port Jackson on Pitt until 1792; the third-last child was known as Mary rather than Margaret. As the 1806 birth date is a year early for Mary Brooks BELBIN, and John's birth date is also wrong at 1791, the viewer, or the carver of the powder horn, may have made a mistake. On the surface, it is possible that there was a split in the Cox family in 1806 which resulted in Ann Brooks taking shelter in the BELBIN household with say, 3 of the younger children. The breach, if there was a breach, had been mended and the Cox family reunited by September 1808, when James BELBIN and "five motherless children" left Norfolk Island for the Derwent on City of Edinburgh. In his diary BELBIN certainly seems to have laid claim to parentage of the Mary Brooks who moved to Norfolk Plains with the Cox family in 1813. Although BELBIN may have had up to 10 or 11 different children in his household at various times on Norfolk Island, perhaps only 6 of them by Ann Meredith and one by Ann Brooks could strictly be classed as his own offspring. During the 10 month period from November 1807 to September 1808, some 578 people were removed from Norfolk Island on the Five Embarkations to the Derwent. The records vary, however at Hobartown Deputy Commissary Leonard Fosbrook's listing  showed the numbers disembarking at the Derwent as only 554. The ADB is again incorrect in stating that the BELBIN family reached the Derwent on Estramina. BELBIN's diary and the passenger lists show that they travelled to the Derwent on City of Edinburgh. The passenger list  retained at the Mitchell Library also showed the land and buildings each individual had held on Norfolk. BELBIN owned no land prior to embarkation, although a note is appended recommending that he receive a land grant in VDL. The "five motherless children", mentioned by BELBIN in a statement preserved in the HRA , were his five surviving children by Ann Meredith, Elizabeth (13), Sarah (11), Catherine (10), Susan (7), and James (5). Mary Ann Meredith (15) apparently remained behind on Norfolk to continue her own life independent of the BELBINS. The City of Edinburgh carried by far the greatest number of people from Norfolk Island, and by October 1808 the Hobart population would have been inflated from 488 on 24 March 1807, to about 1050 persons. The weather during the voyage of City of Edinburgh was said to be inordinately bad, but this hardly explains why the vessel had to lie off Norfolk Island for three months before it was eventually loaded for sailing to the Derwent in September 1808. Some of the Islanders were unwilling to depart Norfolk and perhaps there was some truth in the following statement. It is known that the enforced removal of this people from their happy little homesteads, to commence a life anew in a land of convicts and savages, was most displeasing to them; and some of them even ventured to resist, or rather evacuate, the imperial mandate for their expulsion. Of these recusants .... who took to the bush sooner than be evicted from their lands. But according to the practices of the good old times they were hunted down by the crew of the boat employed to take them aboard the vessel, the Estramina or City of Edinburgh that was sent thither to remove them, on the decks of which they were finally pitched like a couple of dogs. . The problems experienced by James BELBIN (sen) at the Derwent in 1809/10 with Lieut.Governor David Collins were vividly recorded by J E Calder in the Hobart Mercury . Click here to view the article. However, if we adjust his narrative to accord with incidents noted in the BELBIN diary of 1810/11, and add a little general history of the early settlement at Hobart, a slightly different story emerges. It was suggested that BELBIN was out of favour with Lieut. Edward Lord after the Norfolk settler made some scathing comments about justice in the Derwent settlement, following the public flogging of a Mrs Dolly Roberts early in December 1808. In the course of a trip to Sydney, Lieut. Lord had selected a female convict, Maria Risely, to look after his business affairs at Hobart, and had obtained her pardon from the military junta then in power following the removal of Governor Bligh from Office. Back at Hobart, Maria Risely proved an astute business woman, and Lieut Lord`s affairs prospered. In November however, she was so soundly defeated in a verbal slanging match with Mrs Roberts, that she tearfully fled to the back of her shop. Lieut Lord was out of town but soon heard of the incident. Without further ado he had Mrs Roberts tied to the back of a cart and publicly flogged. Although BELBIN is supposed to have made only a few audible comments, George Harris the Surveyor, who acted as a magistrate from time to time, challenged Lord's authority to order a flogging without a trial. Lieut. Lord responded by arresting Mr Harris, thereby causing Lieut. Governor Collins some trouble in calming his Executive. In February 1809 Governor Bligh had been allowed to board Porpoise in Port Jackson on the understanding that he would return directly to England. Bligh had no intention of leaving Australian waters, believing his duty was to remain on hand until the British Government sent a force to remove the Botany Bay Mutineers. As David Collins at the Derwent had previously indicated his private support of Governor Bligh while the latter was imprisoned in Sydney, it was not surprising that the Porpoise should sail up the Derwent in March. 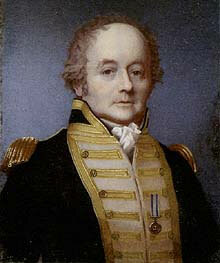 BELBIN noted Governor Bligh's arrival 31 March, and the salute he received from the Great Guns ashore. The Porpoise was to remain in the Derwent until January the following year. Many of the Norfolk Islanders at the Derwent were now an unhappy and disgruntled group. They had arrived with the understanding that they would be fed and clothed from the Store for two years, would receive two acres of land for each acre held at Norfolk, they would be given a house equivalent to that left behind, and would be allocated two convicts to help clear their new land . They now discovered the Store was practically empty. There was virtually no food or clothing available, and they were required to live on Kangaroo meat from the bush. There were no spare houses and the newcomers had to share the small homes of the convicts they might otherwise have expected would be assigned to clear their land. Although the land itself was considered very inferior to the rich volcanic soil of Norfolk Island, a number of people who had previously been classed as farmers appear to have had difficulties in obtaining land. The change in climate from subtropical Norfolk would not have helped to raise their ebbing spirits. 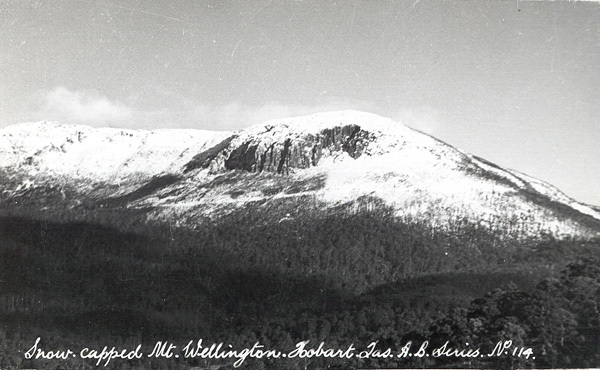 It was probably a significant event when, on 10 April 1809, BELBIN noted that snow covered Mt. Wellington; this would have been the first snow seen by the BELBIN children. Bligh became aware of the plight of the Norfolk Islanders, and requested permission to address them and explain that their current situation was not the fault of Lieut Governor Collins, but was caused by the NSW Corps. Collins was now under pressure from the Military Government at Sydney, and the Service representatives in his own split Executive, to deny Bligh and his party any assistance. It was not beyond Bligh to arouse the Norfolk group into measures which would embarrass both Collins and the NSW Corps. Collins refused Bligh permission to address the new settlers, and no doubt the deposed Governor became a little more difficult and demanding. In the meantime a group of Norfolk Islanders had prepared a petition to be sent to Governor Bligh, which was circulated for signature, and was held by James BELBIN when news of it reached Lieut. Lord's ears. The suggestion is that this petition may have been the work of James Dodding and James BELBIN together. Although the last wave of Norfolk Islanders had arrived six months earlier, BELBIN and his children were still billeted in the house of convict Daniel Ankers and his wife. Fanny Ankers and Hannah Power, the wife of another convict, were said to have shared the gunroom aboard Calcutta on the passage from England . On the voyage out, they reputedly became the mistresses of Deputy Commissary Fosbrook and Lieut. Governor Collins respectively, and continued in that capacity at the settlement. It was perhaps not surprising that the location of the petition could be pinpointed by local Officers. Any subversive activities beneath the Anker roof would have reached Collins' ears in an extremely short time. On 24 April 1809, an antagonistic Lieut. Lord, dressed in full dress uniform, presented himself at the Anker/BELBIN house and searched until he found the Islander`s petition. A scuffle then took place in the mud outside the hut, during which the petition was torn to pieces and the Lieutenant's uniform was muddied. BELBIN was marched off to the lockup to be charged as a mutineer, with the promise that he would hang as a mutineer. He was held for several days until he appeared before the court of Rev. Knopwood and Lieut. Lord on 26 April. BELBIN may have been surprised at finding himself freed, on giving an assurance that he would observe a General Order made the previous day by Lieut. Governor Collins. .
Hobart Town, 25th April, 1809. The Lieut. Governor, understanding that several of the Norfolk settlers and several other Persons have presumed to address Letters and Petitions to Governor Bligh since his arrival in this Settlement, without the knowledge and consent of the Lieut Governor, as he is willing to ascribe this conduct of theirs to Ignorance, he thereby informs them that they are not on any account to address or present any Letter, Paper, or Petition to Governor Bligh without the previous knowledge of the Governor of this Settlement, and if, after the publication of this Order, any person or persons are found offending therein, he or they will be brought before a Bench of Magistrates to answer for the same. Presumably Lieut. Lord`s precipitate action in gaoling BELBIN, a free man, had exposed the fact that if it was wished to restrict access to Governor Bligh, then some form of local Order had to be published. 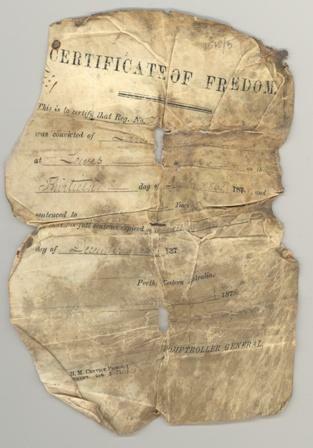 Late in April a ship from Sydney brought copies of the Sydney Gazette which declared Governor Bligh a proscribed person and prohibited communication with any member of his family or establishment. Bligh immediately prepared his own counter proclamation and sent it to Collins asking that it be printed on the Government printing press. Unfortunately it was found that all the printing ink had gone missing. On 19 May, Pegasus arrived from Sydney with orders from Colonel Paterson that Collins observe and promulgate the proclamation against Bligh. 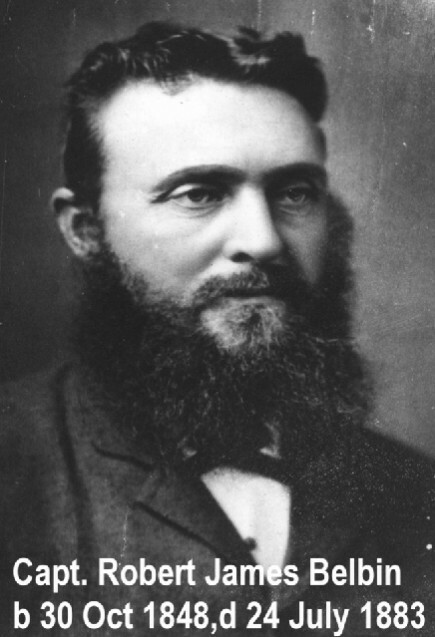 Collins no doubt realised that he could obtain no assistance from Bligh for his struggling Colony, and possibly reasoned that cooperation with the Rebels in Sydney might solve some of his problems. On Sunday 21 May 1809, Lieut. Governor Collins had Paterson's proclamation, and one of his own accepting the authenticity of the Rebel Government, read by Rev. Knopwood at the church service, and by Samuel Warriner in the Lumber Yard. Immediately afterwards a small group of Norfolk Islanders responded by preparing and signing yet another statement of loyalty to Governor Bligh.. This was sent to Governor Bligh the same day and its contents would have filtered back to Collins. 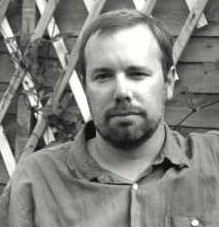 James BELBIN's name appeared as the second of the 18 signatories. Another signatory was James Dodding who, BELBIN noted in his diary, left Hobart on 30 June aboard Pegasus. All who signed the document were Norfolk islanders, except for an unknown Wm. Shardley; however, it seems likely that the transcriber of the petition, for its subsequent inclusion among the Bligh Papers, may have misread Shardley instead of Standley. One wonders at the persistence of the petitioners and whether they were truly motivated by loyalty to Bligh as the representative of the crown, or were simply expressing their opposition to the Derwent Authority. Although most of the Norfolk landholders received land at the Derwent, it seems possible that 6 out of 8 emancipated settlers who signed the petition and had farmed on Norfolk, may not have initially received land at Hobart. Certainly BELBIN did not obtain a grant until 1814. .
.... on a false charge of insolence, because I thought proper to correct my daughter, Sarah, the night before. ....500 lashes by Lieut. Governor Collins' order for denying Collins' proclamation, and because I would not acknowledge any person other than His Excellency William Bligh esquire as the Governor in Chief, without a legal cause for changing my mind. Of a few poor unfortunate settlers, who attempted to get off a few fowls and some mutton to my daughter, some where seized and flogged and one poor man, whose name was BELBIN, received, I believe, 400 or 500 lashes and was imprisoned for the relief he had given my daughter. ... the settlers were interdicted from holding communication. A free man Mr BELBIN was flogged for the infraction of this order, but afterwards received a grant from the Crown in reward of his loyalty. BELBIN stated that son James was injured on 23 December and thereafter he felt it necessary to keep the lad in the Guardhouse with him. According to BELBIN, Governor Bligh and Porpoise sailed for Port Jackson on 3 January, some 9 days earlier than the date usually quoted in the history books. 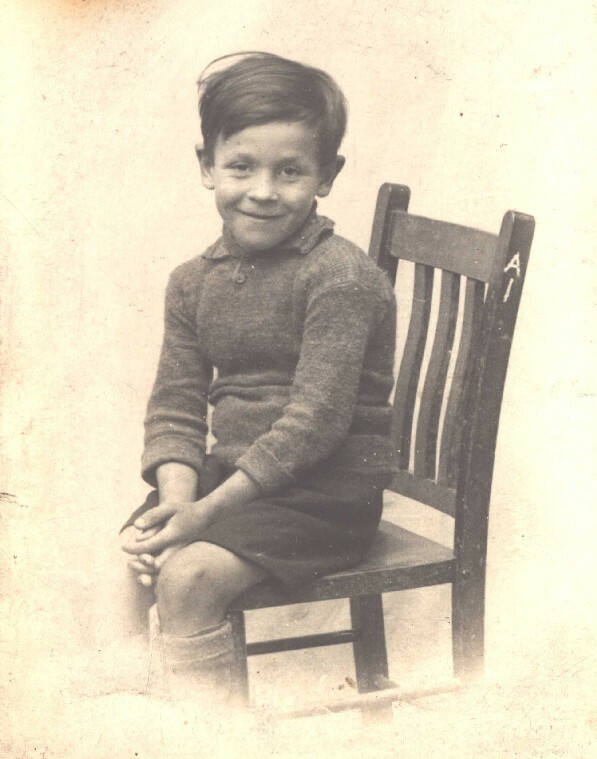 On the following day Mrs Ankers locked the BELBIN children out of the house and Kitty, Susan, and James then slept in the Guardhouse with their father. 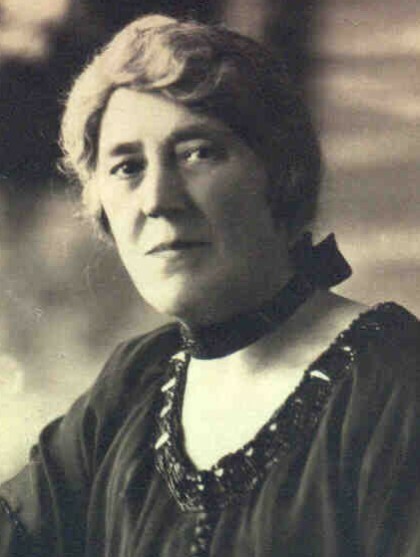 BELBIN was told that he would have been released on 10 January, however on that day he refused a request from the Governor's household that he allow his 11 year-old daughter Catherine, to live at Government House and nurse Collins' child by his young Norfolk Island born mistress, Margaret Eddington. The day of freedom was therefore delayed. After his release from gaol, BELBIN applied for permission to leave the Derwent for Sydney. Initially permission was granted but it had little substance. 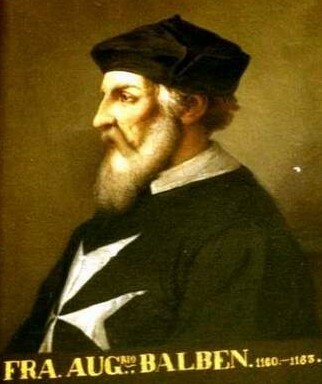 Space was available in ships in the harbour and masters were willing to take BELBIN provided he obtained the official Government clearance. Unfortunately the desired piece of paper could not be obtained. In February the Lieut. Governor had BELBIN's name removed from the Stores, some 8 months earlier than a relocated Norfolk Islander would have expected. One might have anticipated an improvement in BELBIN's situation after the unexpected death of Governor Collins on 24 March, 1810. Lieut Lord now took control of the settlement. Perhaps this may have influenced the court in awarding BELBIN a sentence of 300 lashes in July, after a notice had been pinned up commending the behaviour of a Marine Corporal . Claims & Demands The following persons being about to depart from the Colony, request all Claims and Demands against them, to be presented for payment. In the Friends, Mr Matthews, James BELBIN & Son, & Sarah Porter. SURVIVING EXAMPLE OF A CERTIFICATE OF FREEDOM The Gazette continued to comment on the impending departure of Friends for England via Rio, in company with Admiral Gambier, but it was not until Saturday 7 December 1811 that the readers learned that the two ships had finally left the Harbour on 2 December. There is still room for conjecture on BELBIN's actual departure date for England. BELBIN sought a Certificate of Freedom which was not issued until 23 November. At that time Friends was on her way down the Harbour, and one the wonders if this was actually his ship of passage. If we accept Calder's statement that the BELBINS remained 10 months in England , with a comment from BELBIN  that it took 7 months to reach the UK from Port Jackson, a January departure is possible. However Calder did confirm Friends as the ship of passage. On the other hand in 1821, BELBIN told Commissioner Bigge  that he was away from the Colony for 20 months, which implied a February 1812 departure. 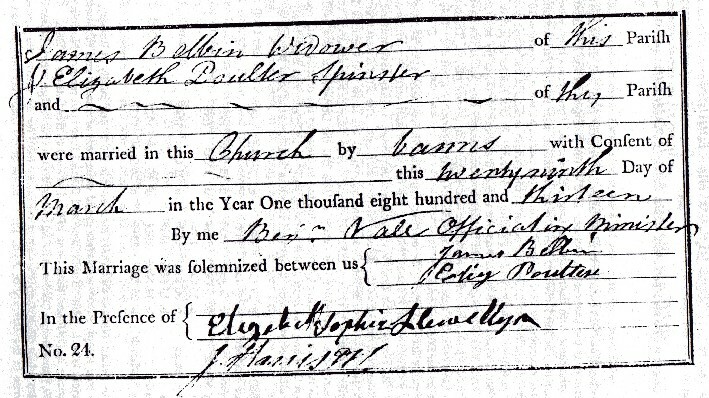 This is very close to 2 March 1812 when a James BELBIN was baptised at Hobart with Sarah BELBIN, who would then be 15 years of age, given as the mother but no mention of a father. Perhaps this was Sarah's child, but it is also possible that the ship that carried the two male BELBINS called briefly at Hobart allowing a quick visit to see the rest of the family. Perhaps, on the spur of the moment, it was decided that the young 9-year-old traveller ought to be christened. There were of course other passengers on the homeward bound voyage of Friends, and they can be identified from the pages of the Sydney Gazette for the months of October and November 1811. Two of the earliest passages were notified 26 October for Mary Mercer and a brother William Robinson, a youth. Mary Bendall, Mr.J.C.Palmer and his wife Hannah, were mentioned as passengers on Friends, 2 November, when the ship had an expected departure date of 15 November. Mr. Matthews, late of Mangalore, Mr John Grant, Sarah Porter, and finally William and Judith Kelly and family were added to the list on 9 November. The last of the passengers to be declared was Lieut. 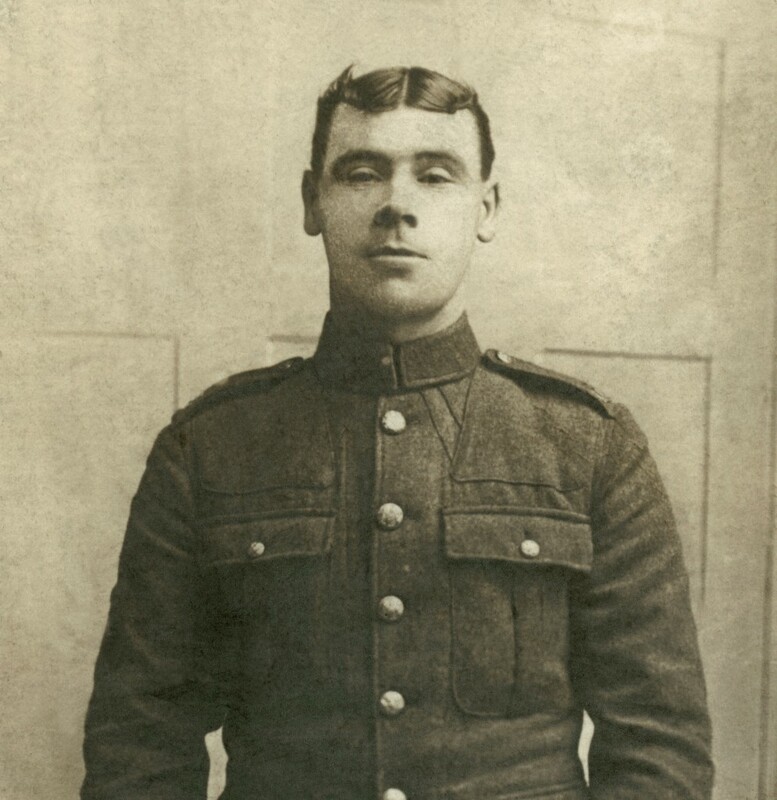 Hadley of the 102nd Regiment, who appeared in the same paper as the BELBINS, Sarah Porter and Mr. Matthews. The BELBINS therefore sailed to England as fellow passengers of the very vocal John Grant, who made things so difficult for both himself and Captain Piper, during his 2 1/2 year stay as a convict on Norfolk Island from June 1805 to January 1808. One might have assumed that Grant and BELBIN could have formed a loose friendship on the long trip home to England; both had a common Norfolk Island background, a pronounced tendency to tilt at the windmills of authority, and a willingness to put pen to paper with little thought of the consequences. On the other hand, perhaps Grant's self-centredness, and a belief in his membership of the privileged class, may have prevented any such association with James BELBIN, the commoner. Grant was one of the few convicts to keep a detailed journal while in New South Wales, albeit in French, which only recently provided the data for the book John Grant's Journey (63); here then was an opportunity to finally ascertain the route of Friends in 1812, and to determine whether the vessel did call at Hobart allowing a March christening of the 9-year-old James BELBIN. Although microfilms of Grant's journal can be examined in the Mitchell Library, it comes as a bitter disappointment to find that the author's span of entries finishes in 1810, some 18 months before he departed the colony on Friends. James BELBIN evidently reached England in August/September 1812, and no doubt spent several months looking for work and knocking on doors, before he eventually reached the ear of the ex-Governor Bligh. A letter of commendation dated 19 December 1812, from Admiral Bligh  at Durham Place, Lambeth, was added to BELBIN'S own petition to Lord Bathurst, which detailed the manner in which the old transportee had suffered discrimination. BELBIN seems to have misled Bligh in stating that he held 30 acres by purchase on Norfolk Island. One can imagine that by December, BELBIN was in a penniless state and required some form of shelter, even a ship's hold. Admiral Bligh suggested that the father and son be given free passages back to Port Jackson on HMS Kangaroo which was then being fitted out for Colonial service. 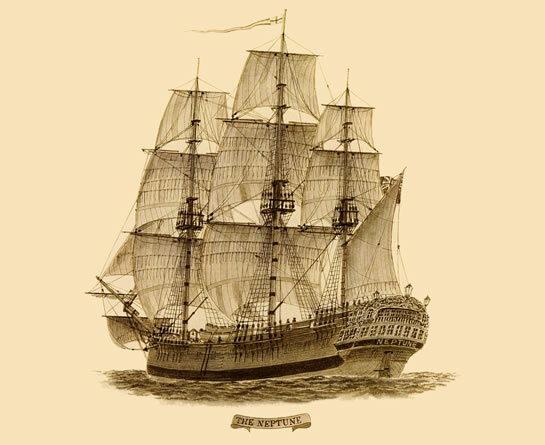 However, the BELBIN family received their passages on the convict ship Earl Spencer, which sailed from England in company with Kangaroo, 2 June 1813. BELBIN'S circumstances must have improved by May 1813, as he managed to woo and marry a new bride, Elizabeth, while in London. A marriage between a James BELBIN and Elizabeth Poulter took place at the St. Clement Danes Church, Westminster, 29 March 1813. Elizabeth's maiden name has never been revealed in documents in VDL, although Baptism records at the Derwent for her first few children were most particular in adding that James and Elizabeth BELBIN were "married in England". There is however no doubt about the above marriage being that of the Derwent settlers. St. Clement Danes was only a short distance from BELBIN'S old home in the Clare Market, and the signature on the marriage certificate resembled another in a surviving book of BELBIN'S, an 1803 edition of Card's Revolutions of Russia. Positive confirmation comes from William BELBIN's NSW death certificate, which stated that his mother was Elizabeth Poulton (sic). No ages are given in the London marriage certificate, but based on death records, the bride and bridegroom should have been 33 and 43 years respectively. Earl Spencer arrived at Port Jackson, 15 October, 1813 with 196 male convicts, an Ensign of the 73rd Regiment with 36 men and NCO's, and a number of free settlers and their families. Four convicts and one of the ship's crew died on the voyage out. The Sydney Gazette of 16 October advised the names of the free settlers. Although James BELBIN appeared to return to the Colony in style with a free settler's family, officially he may have been ignored as such. Governor Macquarie's despatch of 28 April 1814,  to Earl Bathurst, advised that the Colony had been augmented by 13 free settlers since the arrival of Earl Spencer. The settlers were named, and included all the free passengers from Earl Spencer, except BELBIN who did not rate a mention. One fellow passenger on Earl Spencer, Mr Hovel, was in fact none other than the William Hilton Hovell, who with Hamilton Hume would become one of Australia's celebrated explorers in 1824-25. One wonders if the BELBIN family followed the newspaper accounts of the disputes between the two explorers. Another fellow passenger, Mr Young, was the Henry St. John Young  who came out as an assistant surgeon for the Colony. In July 1815 he was sent to the Derwent as Surgeon, and after causing Lt. Gov. Davey some serious problems, was eventually fired from the Government service by Lt. Gov. Sorell in 1818. St John Young's name was later associated with Bills held by James BELBIN in 1817, which were dishonoured . Young was still living in Hobart in the early 1820's. BELBIN brought a letter from England written by Lord Bathurst , requesting that the bearer receive his outstanding entitlements as a Norfolk Islander settler. This was soon presented at Governor Macquarie's Office . The Governor's secretary, John Campbell, provided another letter , dated 20 November 1813, directing Lt Gov Davey that the bearer James BELBIN, his wife, and his son, be placed on the Stores for 18 months, and that he be granted a block of 80 acres. While in Sydney, BELBIN presumably called on Admiral Bligh's daughter, now the wife of Lt Col O'Connell of the 73rd Regt. The Norfolk settler was able to present Davey with some form of reference from O'Connell , along with John Campbell's letter, immediately after returning to Hobart. ... James BELBIN, wife and child, intending to proceed to the Derwent request that all claims against them be presented. ... Victual James BELBIN & Son, a new settler, for 18 months from this day, and then discharge them without further delay. The 1822 Derwent Muster  causes some confusion by claiming that Elizabeth BELBIN was free "by servitude". This implies that she had arrived as a convict, but had been released on assignment to another, presumably her husband James BELBIN. There were no female convicts on Earl Spencer, and Elizabeth would not have been mentioned if she had actually been a convict. Apart from that, the difficulty of meeting and marrying a convict in London, who was bound for transportation, seem appreciable. It is perhaps possible that Elizabeth BELBIN's maiden name (Poulton/Poulten) was generally known at Hobart, and that she was confused in the Muster with a female convict with the name of E.A.W.Polten. This woman arrived in Sydney aboard Wanstead in 1814, and was sent down to Hobart before 1816. The records show that this Polten/Polter received a seven year sentence in Hampshire, March 1813, and was classed as a Mantuamaker [48, 60, 61, 62]. The 1822 Derwent Muster, which contains several minor errors of detail, is obviously incorrect in referring to Elizabeth BELBIN as free "by servitude". Once back in Hobart, James BELBIN (sen) commenced a second family, which can be identified from the St. David's Church records. Maria daughter of James and Elizabeth Belvin (sic) (married in England) b. 24 Nov 1814, bap. 26 Dec 1814. Married David Garside. Frances daughter of James and Elizabeth BELBIN (married England) b. 1 Feb 1817, bap. 4 March 1817. Married Richard Fleming. Ann daughter of James and Elizabeth BELBIN (married England) b. 11 July 1819, bap. 9 August 1819. Married William Henry Smith. Jane Mary born 3 April 1822, married William Short. William born 7 Feb 1823, Married Rebecca Dowdell. One might have expected that James BELBIN would at last settle back to a more relaxed life style on his new property, however he continued to be involved in the administrative problems of the Colony. The HRA makes several references  to the actions of the Deputy Asst. Commissary Hogan, who defrauded BELBIN and several other settlers by issuing faulty promissory notes and pocketing the proceeds. A Court Martial was ordered in Sydney, at which BELBIN and other witnesses were required to attend. The Hobart Town Gazette of 20 September 1817, noted BELBIN'S departure for Sydney aboard Elizabeth Henrietta. This may not have been a very pleasant trip for BELBIN, as other passengers aboard the vessel were "Mrs Hogan and family." Another prosecution witness, Mr A.F.Kemp, was a little more fortunate, as he sailed for Port Jackson on Mermaid. BELBIN gave details of Hogan's activities to Commissioner Bigge when that gentleman visited VDL in 1820.. While in Sydney, BELBIN again found it necessary to petition the Government for assistance. On 1 November 1817 he wrote  to Judge Advocate Wylde, pointing out that he was a witness who had been directed by Governor Macquarie to appear in Sydney; he had left VDL 14 September and arrived in Sydney 2 October; his wife and four children remained in Hobart with no one to support them; he had difficulties in finding lodgings in Sydney. The letter was sent on to Macquarie who initialled it, and marked it "perused". BELBIN`s letter is in his normal petitioning style, and although he seems to have written it, the English is far superior to that in a letter, written perhaps in haste, to daughter Elizabeth in 1824. Perhaps with so much time on his hands in Sydney, he was able to redraft and rewrite the letter to the Judge Advocate. BELBIN was not the only petitioner on this occasion. Anthony Kemp, a fellow witness, wrote several letters to the Judge Advocate. His letters were not begging, but haughty demanding notes written in a firm and confident hand. The first letter, early in November, pointed out that his business was suffering through his long absence from VDL. He noted that the trial would start next week, and requested that his evidence should be taken first so that he could return on the ship in which he had secured a passage to Hobart. This request was not met, as his second letter of 6 December mentions that the Court Martial has just finished, and he now claims considerable compensation for coming 800 miles from his home and business. .
One is struck by BELBIN's practised hand writing which is well rounded and entirely legible. When he wrote letters to people in Authority, he was apparently fairly familiar with the business officialese of the day (apart from a tendency to use "has" instead of "as"). It must be assumed that he had worked extensively in some clerical capacity. BELBIN admitted to " ... a Confidential Situation I held in the concerns of E Lord Esq., Merchant of Hobart Town, of the value of £200 per annum" , which ended in September 1817. One is quite staggered by the claimed size of this salary, and the fact that it was paid by his old enemy of 1809/10. Perhaps BELBIN had been involved in the Rum transactions between Lord and Lt Jeffreys when HMS Kangaroo made its final visit to the Derwent in 1817. Mr William Rayner having some time since tendered his resignation as Inspector of Stock, the function of which he found impossible to execute with the increasing duties of his Office as Storekeeper, the Lieut Governor has been pleased to approve of Mr Rayner resigning and to appoint Mr James Belbyn (sic) to succeed him as Inspector of Stock for Hobart and Kangaroo Point. Mr Belbyn will take upon him the Duty of his appointment and will commence salary from Monday the 16th Instant. Colonel Sorell's order of 8 September 1821 detailed BELBIN's additional duties as the Superintendent of Slaughterhouses, and how they related to those as Inspector of Stock. When son William was born, 7 February 1825, James was recognised by the Registrar as a carpenter of Hobart Town, a trade initially followed by both his sons James (jun) and William. There is no record of James BELBIN as a landholder in Evans' book of 1822, although a brief note in the 1826 Land Commissioner's Report  mentions that he had stock being looked after by shepherds. The ADB states that "He received land between Hobart and Pittwater where he built a home and prosperous farm". Other references seem to show that James BELBIN (sen) lived most of his life with his family in Macquarie Street, Hobart. BELBIN was scarcely noticed by the Rev. Bobby Knopwood after his court hearings of 1809. He is mentioned only once in Knopwood`s diary for 1803-38 . This incident occurred 30 August 1822 when Primrose, one of Knopwood`s servants, and "Mr BELBIN's servant " broke into the reverend gentleman's house, there was a scuffle and a gun was discharged. The two miscreants were dealt with by the magistrate on 3 September 1822. Apparently James was again in trouble in October 1825, when Jocelyn Thomas, the Acting Colonial Treasurer and also a member of Governor Arthur's five man Executive Council, sought the Lieut. Governor's involvement to punish/discipline the Inspector of Government Slaughter Houses, for some real or imagined insult of Thomas by BELBIN. The Governor observed that he would require more information from Mr Thomas than already offered, as Mr BELBIN might deny the accusation. BELBIN outlasted Mr Thomas in Government service, as the latter absconded in 1832 when the Governor discovered a considerable shortage in the Colonial coffers. I have known Mr BELBIN nearly 20 years; for 14 years he lived exactly opposite to me in Macquarie Street, and during that time he and his family were, I may almost say, under my daily inspection. I can bear witness to the assiduity with which he performed the duties of his office and I can moreover state that in the times when sheep-stealing was more frequent than it is now, his care in entering into his books the marks on the animals brought to the Slaughter house was of great benefit in detecting (and perhaps diminishing) the commission of that offence. I can bear testimony also to the exemplary manner in which with slender means he has brought up a numerous family. Mr BELBIN and his wife are individually and highly respected by none more than by Lady Pedder and myself, and I beg to commend this memorial to the most possible consideration by the Government. 11 May 1848 - On May, 8th Instant, at his residence in Macquarie Street, Mr James BELBIN, in the 78th year of his age. His friends are respectively invited to attend his remains to the place of interment, tomorrow at 3 o'clock. 13 December 1849 - On the 10th instant, at her residence, Macquarie Street, Mrs Elizabeth BELBIN, relict of the late Mr James BELBIN, in the 69th year of her age. Friends are respectfully invited to attend her remains to the place of interment this day, (Thursday) at half past 3 o'clock. Perhaps it is fitting that The Britannia was the paper to carry BELBIN's final reference. It appears as a vitriolic, outspoken tabloid, intent on agitating the Government and legal institutions of the day. Over a century before the term "investigative journalism" had been coined, the bias and character assassination practised by this paper dwarfs the efforts of television journalists of the 1980's. James BELBIN must surely hold some record for the manner in which he was noted by, or forced the attention of such a large collection of Governors and administrators of the Australian Colonies. In 1812 when he petitioned Lord Bathurst; he felt confident in nominating Capt. John Townson, Lt. Col. Foveaux, and Capt. John Piper, successive Commandants on Norfolk Island, as officers who would vouch for his good character and honesty. As a settler he petitioned Governor Bligh in 1806, 1809, and 1812, and the Admiral felt moved to give his solid support in 1812. Lieut Governor Collins was plagued by the actions of James BELBIN. Governor Macquarie required Lieut Governor Davy to make special arrangements to victual BELBIN's family and provide a land grant in 1814. By 1817, BELBIN was again seeking support from Macquarie in Port Jackson and perhaps this helped Lieut Governor Sorell to promote the old colonist to his official positions of authority in 1821-24. 1825 saw Colonial Treasurer Thomas urging Governor Arthur to take action against BELBIN for insolence. In 1843 Governor Wilmot was being chased for a Government pension. 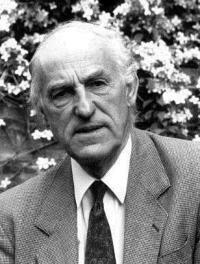 It seems unlikely that BELBIN would have escaped the attention of the remaining Governor, Sir John Franklin, as the diarist G.T.W.Boyes, who made such cutting remarks about James BELBIN, was the Colonial Secretary during Sir John's period of administration. BELBIN did not live to bask in the achievements of his youngest son, William, who became and remained a Member of Parliament for 19 years, and held the office of Mayor of Hobart for 3 years. Today James BELBIN has a street named after him in the National Capital, Canberra, but in Tasmania, where he lived and experienced so many troubles, only a minor creek at Cambridge bears his name near land once held by the BELBIN family. 2.J E Calder, Hobart Mercury, 2,8,9 April 1880. 3.Indent of Convict Ships 1788-1800, 4/4003, Reel 392, AONSW. 4.Old Bailey Session Papers, Dec 1787-1789, Q343.1/L, M.L. 6. Criminal Records, AJCP NA Reel 87, HO 11/1, P112, M.L. 7.David Collins, An Account of the English Colony in NSW, 1797-1806, D362-4A, M.L. 8.Norfolk Island Victualling Book 1792-94, Roll CY 367, M.L. 9.Australian Dictionary of Biography, Vol 1, P78. 10.BELBIN/Bigge Evidence, 29 March 1820, HRA, Series 3, Vol 3, P346-9. 11.Returns of Food to the Stores 1806, Reel 762, AONSW. 12.Returns to the Stores, 1 Jan - 16 Sep 1801, AJCP, NA Reel 14, CO 201/29, P29, M.L. 13.Norfolk Island Victualling Book, 1 Jan - 31 Dec 1802, AJCP NA Reel 14, CO 201/29, P210, M.L. 14.Criminal Records, AJCP, NA Reel 87, HO11/1, P69, M.L. 15.Evan Nepean, Letter to County Sheriffs, 24 Oct 1789, AJCP, NA Reel 419, HO 13/7, P283, M.L. 16.Wm. Grenville, Letter to Lieut Shapeste, 2 Dec 1789, AJCP, NA Reel 419, HO 13/7, P323, M.L. 17.Fidlon & Ryan, Journal and Letters of Lt. Ralph Clark 1787-1792, Australian Documents Library, 1981, P128-220. 18.People On and Off the Store Feb 1805, Reel 762, COD 413, AONSW. 19.St. Phillips's Register, Vol 4A, N.I. Birth Register, 1797-1806, D3262-4A, M.L. 20.Marines discharged Oct/Dec 1791, AJCP NA Reel 3277, ADM 1/2309, M.L. 22.Women Off the Stores 20 July 1794, AJCP NA Reel 5, CO 201/10, P199/200, M.L. 23.City of Edinburgh Passenger List, Reel 763, AONSW. 24. BELBIN Papers, Royal Soc. of Tas., Mss. RS 90/1, University of Tasmania Library. 25.Address of Welcome to Bligh, Reel 762, AONSW. 27.Lord Hobart to P G King, 24 June 1803, HRA Series 1, Vol 4, P304. 28.Foveaux List of Settlers, HRA Series 1, Vol 5, P216 . 29.Lt Gov Foveaux, 26 March 1805, Observations on the Removal of Settlers, HRA, Series 1, Vol 6, P 75. 30.Foveaux Observations on Removal of Settlers, AJCP, 26 March 1805 NA Reel 21, CO201/42. 31.Return of Settlers, 2 August 1807, AJCP, NA Reel 22, CO 201/14, P292. M.L. 32.Lt. Crane's Muster, August 1812, Reel 763, AONSW. 33.Lady Nelson Shipping List, An45, M.L. 34.Return of People at Norfolk Island 1811, C191, M.L. 35.Isabella Mead, "Settlement of the Norfolk Islanders at Norfolk Plains", Proceedings THRA, Vol 12, No 2, 1962, P61-62. 36.J.B.Walker "Deportation of the Norfolk Islanders to the Derwent, 1808", Early Tasmania, Tas. Govt. Printer, 1895. 37.City of Edinburgh Shipping List, An45/ , M.L. 38.W. Windham to Gov. Bligh, 30 December 1806, Terms for Removal of Settlers, HRA, Series 1, Vol 6, P73. 40.Collins' Proclamation, HRA, Series 1, Vol 7, P158. 41.Norfolk Islanders' Petition, HRA, Vol 1, No 7, P159. 42.J. Campbell to Lieut Gov Davey, 25 Nov 1813, Ref 2. 43.G. Mackaness, The Life of Vice-Admiral William Bligh, P142, Angus & Robertson, 1931. 44.John West, History of Tasmania, P45, Angus & Robertson, 1850. 45.Bligh as Referee to BELBIN, HRA, Series 1, Vol 7, P685. 46.BELBIN to Surveyor General Frankland, 26 March, 1832, Tas Gov. Archives, LSD 1/12, P407-408. 47.T.D.Mutch, Mutch Index 1787-1814, Reel 2125, AONSW. 48.1822 Derwent Muster, AJCP NA Reel 65, HO 10/18, M.L. 49.Hogan's Court Martial, HRA, Series 3,Vol 2, P263. 51.Kemp to Wylde, Nov 1817, 6 Dec 1817, Reel 2162, 4/1737, P 147-164. 52.Mary Nichols (Ed), Diary of Rev Robert Knopwood 1803-1838, THRA, 1977. 53.James BELBIN to Eliz BELBIN, 7 June 1824, AJCP NA Reel 50, CO 201/101, M.L. 54.Richard Lord, Inscriptions in Stone, P 169, 1976. 55.BELBIN's Certificate of Freedom, No 15/1047, 23 November 1811, 4/4427, COD 18, AONSW. 56.Macquarie to Lord Bathurst, 28 April 1814, AJCP NA Reel 33, CO 201/72, P52. 57.BELBIN to Campbell, 31 December 1817, 4/1739, Reel 2162, P291-293, AONSW. 58.Anne McKay (Ed. ), Journals for the Land Commissioners for VDL 1826-28, Uni of Tas, Hobart,1962. 59.J. Thomas to Lieut Gov Arthur, 24 Oct 1825, CSO 1/305/7353, AO Tas. 60.1819 Muster, NA Reel 60, HO 10/2, M.L. 61.1816 Muster, NA Reel 61, HO 10/4, M.L. 62.Wanstead Indent, COD 140, AONSW. 64.Henry Goulburn to Gov. Macquarie, 31 Jan 1813, NA Reel CO 202/7/193. 65.Ritchie John, A Charge of Mutiny, Nat Library of Australia, Canberra, 1988, P35.